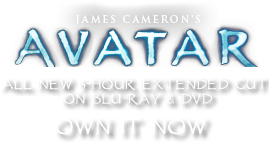 Flaska ascendens | Pandorapedia: The Official Guide to Pandora | Own AVATAR on Blu-ray & DVD Now! The Na’vi harvest the branches of the hookagourd to carve out bowls and jars for their use. The large basal “gourd” is left intact to grow new branches, thus making the plant a natural factory for production of usable products. Earth botanists on Pandora have discovered that the plants can be manipulated to produce matching sets of bowls if all branches are fed animals simultaneously. These Pandoran rarities are extremely valuable on Earth. Several have found their way into museums or private collections of RDA executives. Botanical Description Tall, hollow urn-shaped carnivorous plant. Branches on plant body enlarge at the base and eventually break off. Branches form new plants when they root on the ground. Ecology Flowers on ends of branches attract birds and small animals. Animals are trapped in the one-way tubular branches and can only move down. Enzymes inside the enlarged plant body digest animals for nutrition. Ethnobotany Na’vi harvest the branches to make bowls and jars.